minutes at each station. The stations represent athletic movement skills with the purpose of gaining body awareness, speed, agility, and balance. Some of the exercises are: jump rope, ladder drills, balance beams, throw and catch baseball and football, Snag Golf, and team races. During the rest of the lesson he uses the U.S. Kids learning system. The swing and putting forms, skill tests, sportsmanship, and games keep the kids on task and measure success. The FUN ZONE continues to evolve. He also loves teaching young people who want to or are already playing tournament golf. His background as a tournament player brings added experience to the lesson tee. Playing lessons are very important for helping young people understand course management, routine, good emotions, and the different shots they will experience. In addition to his many years of experience, Rick’s relationship with the Titleist Performance Institute, the PGA of America, and U.S. Kids Golf, shows his commitment to be on the cutting edge of teaching young children and teens of all skill levels. TPI has taught him the basics of child development and fundamental movement skills. U.S. Kids Golf offers the format for teaching kids golf skills through drills and fun games. Thanks to U.S. 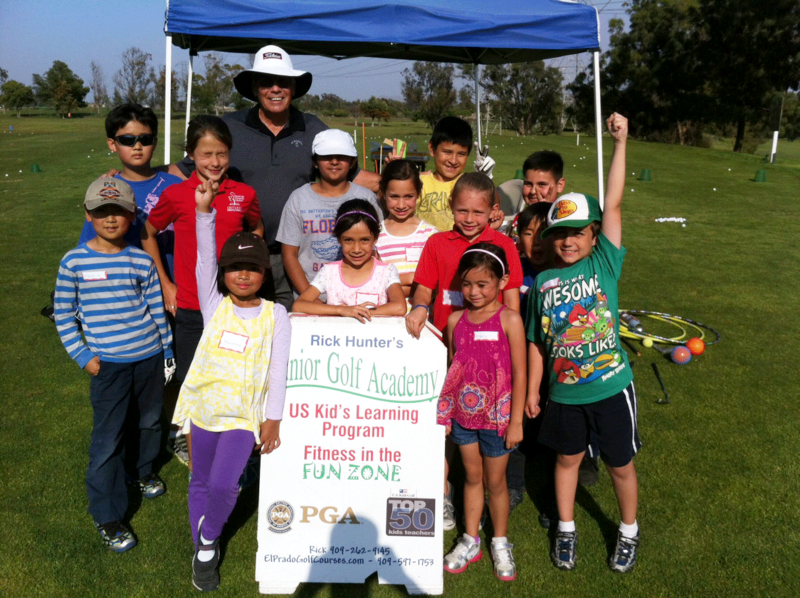 Kids Golf and their Teacher Certification Program, Rick is able to develop a good blend of teaching techniques and learning through fun. Mostly, fun! opportunity to learn golf in a safe, positive, and enjoyable atmosphere. Rick Hunter's teaching assistant is Carlo Ignacio, who is also a U.S. Kids Golf Certified Coach.